After a few repairs in Cabo (and more than a few beers), and after the pacific settled down once Hurricane Patricia made a hard right turn into Mexico the crew continued their track south. Plan was to head down to Puerto Chiapas and check out of Mexico, then continue down to Costa Rica and camp out there for a couple of weeks while our captain took a break back to the states. 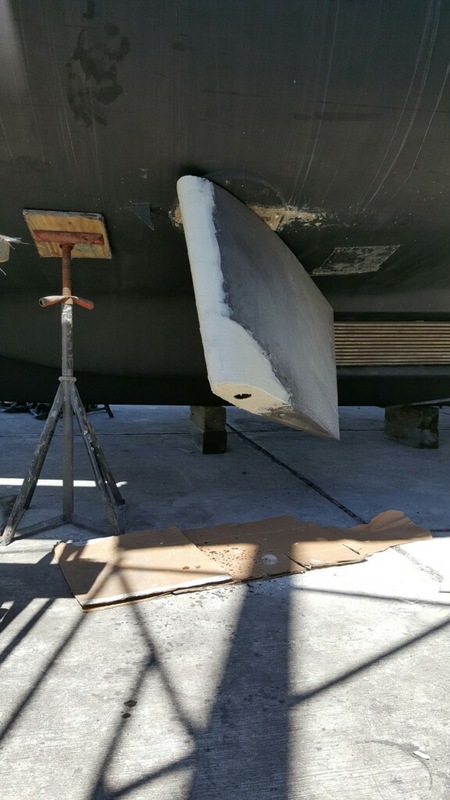 It became pretty clear pretty quickly that the port stabilizer fin had hit something really, really hard. Turned the boat to port and heeled over pretty far for a few seconds. As designed the ABT stabilizer system alarmed and went off-line. Also as designed the crew was able to reset the system and reactivate the stabilizers which seemed to go back to work just fine. But it was clear something had done LFB wrong, the engineer felt a “slight vibration” and the decision was made to head to Ixtapa and find out just how bad the problem was. Once they had a chance the captain dived on the boat and reported back with the bad news. 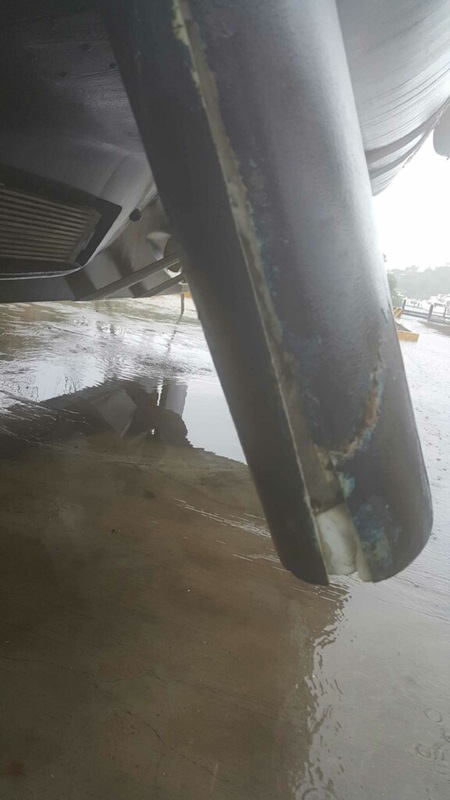 The port stabilizer fin was badly damaged and would likely need replacement; he also was concerned that the stabilizer shaft might be bent as well. With that bad news I called the gang at ABT, who had been so helpful during our survey. 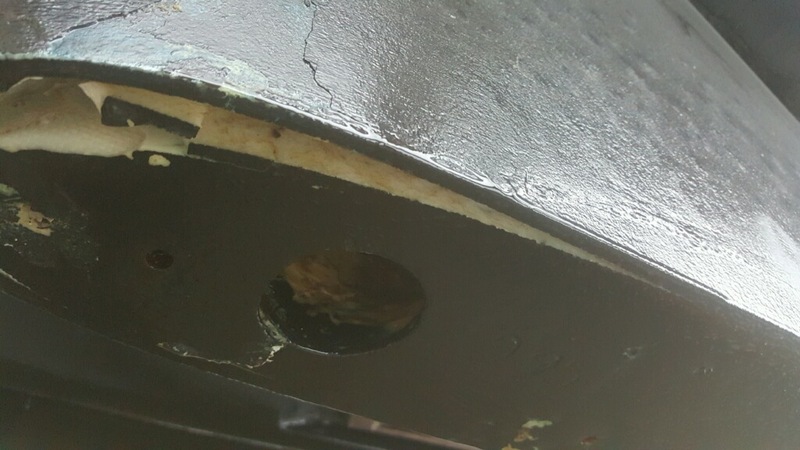 Their initial response was more comforting, – no way was the shaft bent, it was designed to take a massive hit that would likely crack the mounts in the boat before bending the shaft. 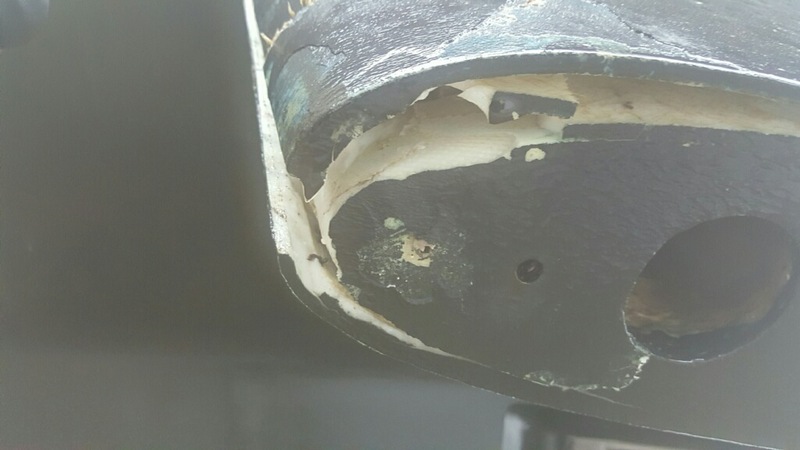 They said a replacement fin would take 3-4 weeks but the chances were very good the existing fin could be repaired on site – they suggested hauling the boat out and sending them pictures of the damage. 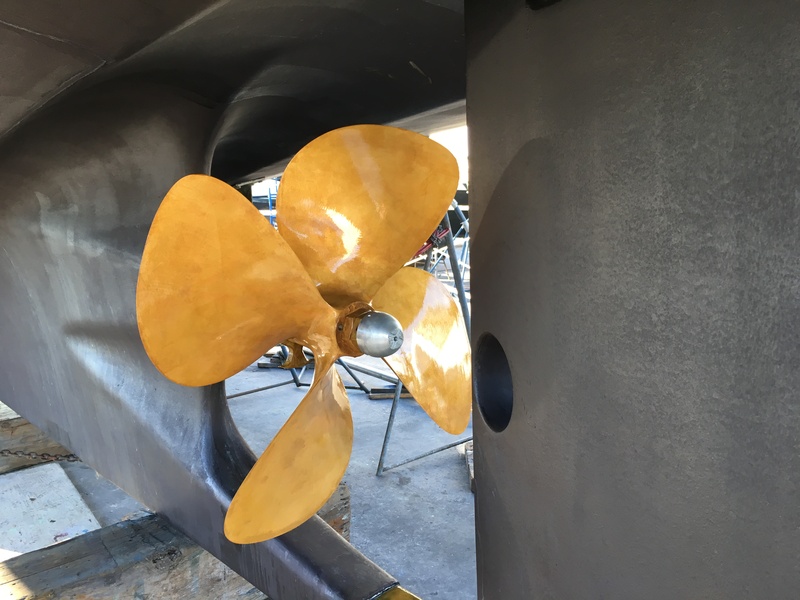 The crew was already in the process of having the local boat yard haul, the captain and engineer wanted to make sure the freshly balanced and painted prop had not been damaged. Remember how clean it looked when it was first painted? After the epoxy dried they put a coat of bottom paint on and we were ready to go. 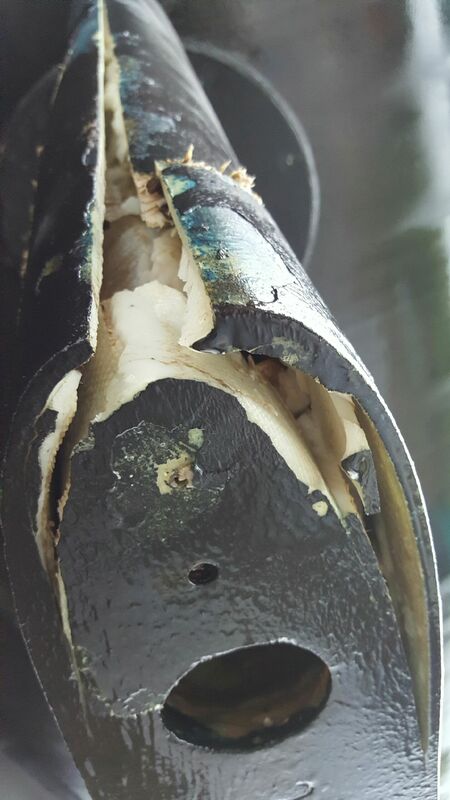 We had him fix a few other bumps on the boat while he was at it and the inspection of the rest of the running gear showed no other signs of damage. We were lucky in a number of ways. First, that whatever we hit did not take out something more critical or difficult (or expensive) to fix. Second, that the boat yard at Ixtapa was able to take the boat in almost immediately and that they had the expert we needed when we needed him. And third, we were lucky, once again to have the folks at ABT at our disposal. Many companies would have sold us a new, expensive part and we would have been down for several weeks awaiting its arrival. But ABT, at no cost, took our phone calls, analyzed the problem and gave us detailed instructions regarding the fix that saved us a lot of time and money. There are not many businesses that operate that way. This is just one example of the great community that has built up around the Nordhavn brand.